The 2007 Honda Trx400ex for Sale is running one of the Honda ATV's best XR engines with special tuning, a reverse gear, electric start, long-travel suspension and sleek, powersports ready bodywork. It is rough, ready and reliable, packed with performance and lots of fun to ride. Take a look at the specs of this cheap, used 2007 Honda Trx400ex ATV For Sale and you will see why it's so very popular. That describes the used Honda ATV for sale in this classified in a nutshell. If you're interested you can reach me by leaving your questions and contact information in the space below provided by Strike Lightning for listing Used Honda ATV for Sale and the owner of the four wheeler will get back with you as soon as possible. Strike Lightning would also encourage bikers to submit a review of the 2007 Honda Trx400ex for Sale to help potential buyers make informed decisions and to benefit the biker community as a whole. 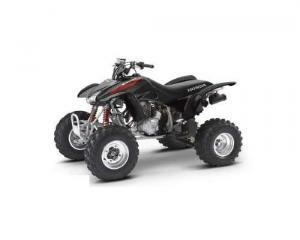 The used Honda ATV for sale is located in Watertown New York and my asking price is only $5,999.